We’re back with swimming’s top 10 tweets, where we round up the best of the swimming Twitterverse. Scroll for all the best women’s NCAA content — and a couple of others, just for fun. 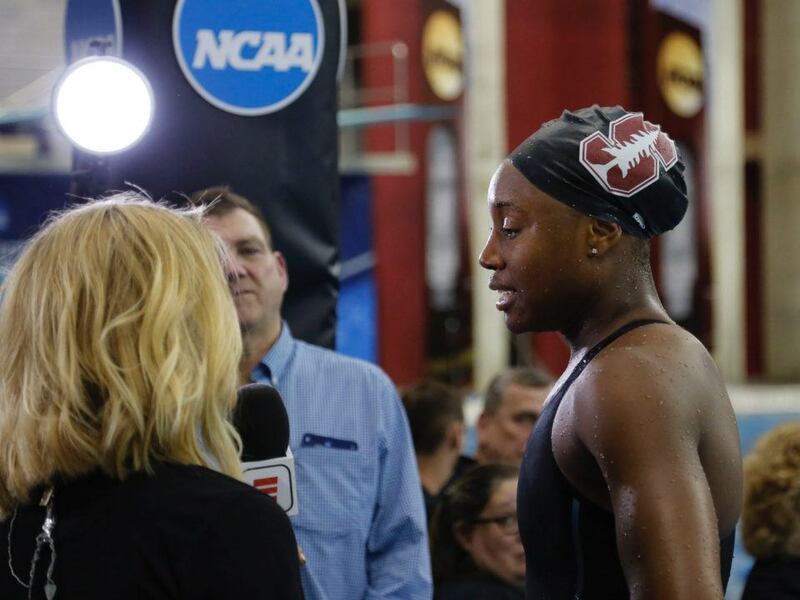 Some #weird stuff happened at women’s NCAAs. Today i ve gone to fuel station and i ve said: DRESSEL, thanks. Welcome to our minds, Emilio. Basketball’s March Madness may have had the biggest upset in history, but we’ll take swimming over that any day. You know you’re good when you scare off an Olympic gold medalist. Her range is insane enough already. We hope you all have an Elizabeth Eastin in your life. Swimmers are a many-talented people. Always. Warm. Down. Especially after you drop the second-fastest 100 free split in history and run down your biggest rival team in possibly the most poetic ending to a collegiate swimming career ever. Lauren stole my Oprah joke!